Jack Nicklaus is one of the best known names in the world of golf. In addition to winning a number of golf tournaments around the world, Jack Nicklaus has used his expertise to create some of the world’s best professional and private golf courses. Nicklaus also logged the third-highest stroke differential of any golfer. Jack Nicklaus was born in the city of Columbus in the state of Ohio in 1940, and his impressive golfing career began when he was attending Ohio State University. During this time he won an impressive two U.S Amateur golfing titles and on the strength of this decided to become pro as soon as he graduated in 1961. However, he was already gaining recognition at the tender age of ten when he regularly played at the Scioto Country Club and revealed himself to be a true golf prodigy with success in his future. 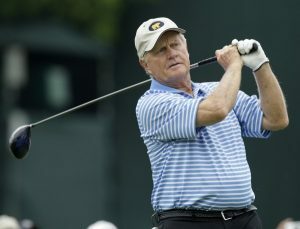 The legend’s strength and determination over the years has earned him the nickname of The Golden Bear, and in addition to six Masters Tournaments, he has also won five PGA Championships, three British Opens and four U.S Open titles, giving him a record of eighteen major championships during his long golfing career. These days, Jack Nicklaus is also well known for designing golf courses. His passion and experience for playing on leading golf courses around the world has helped him design a large number of golf courses that are so special that they are now used to host major golfing events. Jack Nicklaus’ golf courses can now be found in many countries around the world and feature superior designs that are ideal for both skilled golfers who really want to push themselves to the limit, and the less experienced players who simply want to have fun while soaking up the scenery and experiencing a destination in a whole new way.